Home Opinions Is Uyghur American Association involved in recent wave of terrorism in Xinjiang? Uyghur American Association involved in terrorism in Xinjiang? 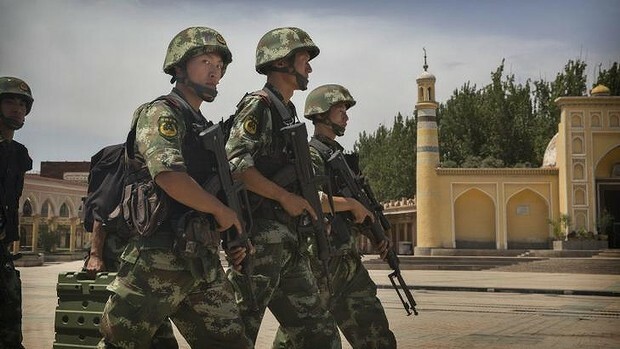 The involvement of the Uyghur American Association (UAA) in recent wave of violence and terrorism in Kashgar is not being ruled out by the Xinjiang authorities, claim sources. The Uyghur American Association (UAA) is based in Washington that works to promote the preservation and flourishing of a rich, humanistic and diverse Uyghur culture. Sources claim that Kashgar town of China is closed for the world since recent series of terrorist attacks that started on last Monday. Internet service and mobile text messaging is also closed. Kah Mosque is closed after the assassination of its Imom Juma Tayir who was allegedly killed by Muslim separatists. He was appointed by local government and he was forbidding local Muslims to support separatists during his Juma sermons. He was a respected personality and his murder was shocking news for moderate Muslims of Kashgar. Chinese government is reluctant blaming UAA for sponsoring terrorism in Kashgar officially and openly because UAA is morally sponsored by the US authorities. UAA is running Uyghur Human rights Project (UHRP) since 2004 with a supporting grant from the National Endowment for Democracy (NED). UHRP’s mission is to promote human rights and democracy for the Uyghur people, and to raise awareness of human rights abuses that occur in East Turkestan, referred to by the Chinese authorities since 1955 as the Xinjiang Uyghur Autonomous Region (XUAR). Though Chinese authorities have confirmed that terrorist attacks and riots killed more than 100 persons but authorities are not allowing independent media to access troubled region. Xinjiang is becoming hot bed for China. Unrest is reaching other areas after hitting Kashgar and violent clashes in Yarkand areas are reported first time. Chinese authorities said that over 60 terrorists and 37 civilians died in clashes. The Chinese government has awarded local people who helped to hunt suspected terrorists allegedly involved in recent wave of terrorism. A total amount of $685,000 in cash was distributed among those who helped police to find Muslim terrorists. Official news Agency of China Xinhua News Agency said that investigations showed the attacks were “organized and premeditated” and terrorist group East Turkestan Islamic Movement was involved in attacks. Whatever Chinese authorities believe or paint, I believe that there are only blames against UAA because it is fighting for the rights of oppressed Uyghur Muslims and Chinese authorities have no credible information or data or links against UAA and this is the reason it is shy to raise the name of UAA and its involvement of violence in Kashgar that looks indigenous because Chinese government had a harsh opinion against Ramadan and banned people for fasting and recent wave of unrest is outcome of such harsh actions and decisions of Chinese government.